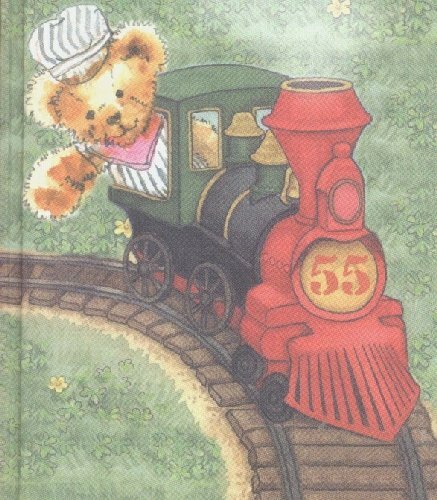 My theme is: Your childhood journey (Bear Riding on a Train). Our childhood can seem so long when we are kids, but it goes by so fast. What was your favorite childhood food? What did the house you grow up in look like? Do you have a story from your childhood that most of your friends roll their eyes and say, “No that story again!”. 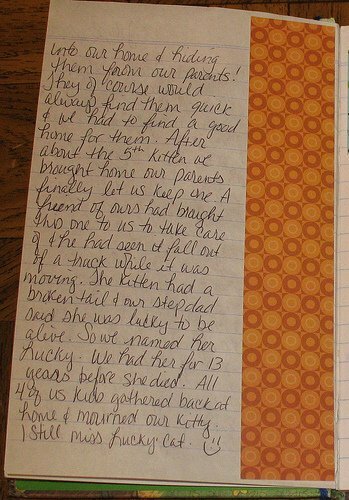 Draw the lay out of your house, what did your room look like when you were 12? What lunch did your mom pack every day? What was your favorite Halloween? Remember when you go the dog you always wanted? Did you move away from all your friends and you never forgot your last day with your best friend? 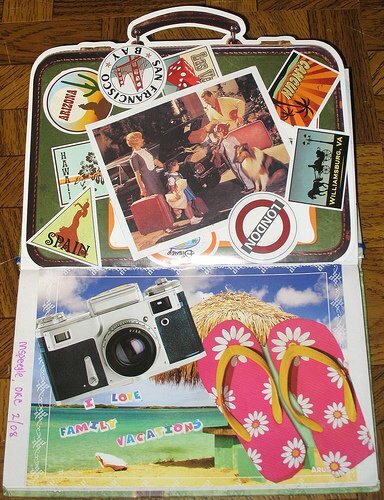 Draw, write, remember but most of all tell me about your childhood journey. Please let what you write be something my children & I can read together! 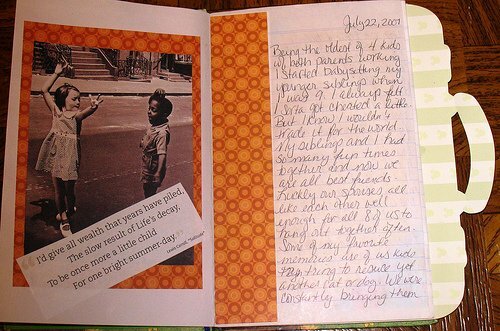 Create your artistic journal entry- relist on bookmooch and pass it on. (hopefully to someone with good feedback! 😉 The last entrant will then mail it back to the owner Ashley (USA: GA) user id: faith4jesus.